It's all about finding a great recipe! Well, even though it’s almost the end of August already (sighhhhhhh), I’m still enjoying my summer salads and not quite ready to dive into beef stews and chicken roasts just yet. Here is a great salad that I had the pleasure to taste in a nice trendy hang out in Montreal called Laïka. People usually go to this venue for drinks but the food is decent and the prices are reasonable. 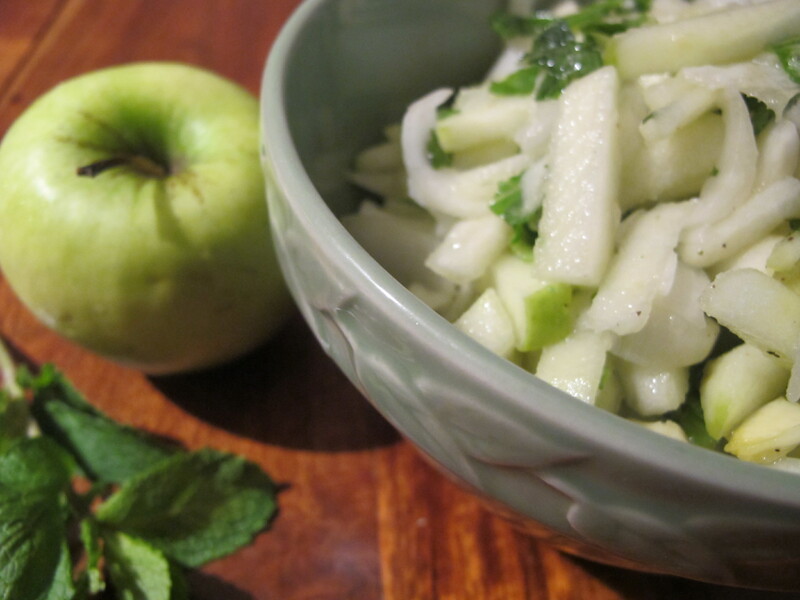 The combination of the apples, the endives and the mint make this salad fresh and tasty. perfect for a BBQ dish, served on its own our next to a tasty piece of white meat fish like Tilapia. Mix all the ingredients together! Note: You could do the vinaigrette first and add it to the salad. Add the lemon juice to the apples quickly so they don’t become brown. I can’t believe that my last post was in April. Geez! Truth be told, I came out of my maternity leave and started working in April… Like many, I’m slowly finding out how difficult it can be to juggle work and family. How do people do it? I only have a 14 month old and I’m exhausted, I can’t imagine having two! Since I’ve become a mom, I know the true meaning of the word MULTI tasking. Nonetheless, I’ll try my best to keep giving you guys recipes that are easy and tasty! 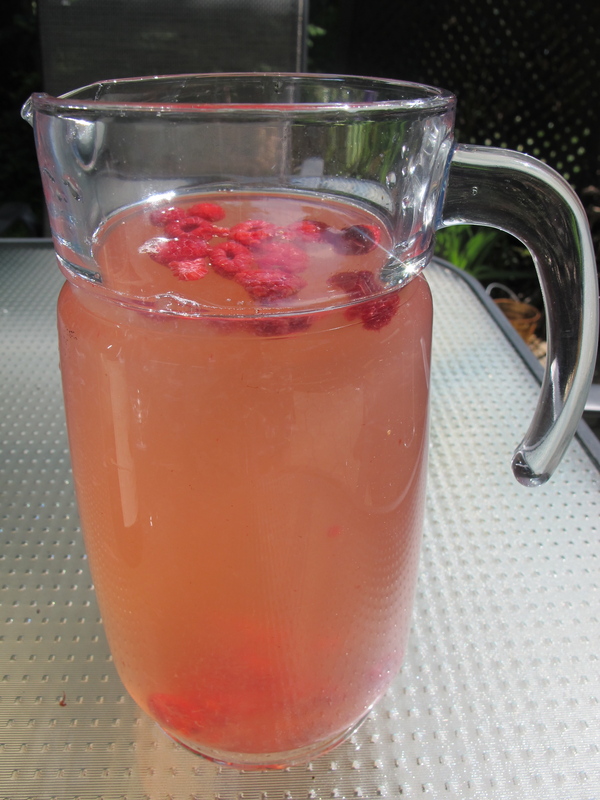 This homemade lemonade is simply delicious, even my hubby knows the recipe! Mix it all together and there you have it! You can replace the raspberries with any frozen berries. 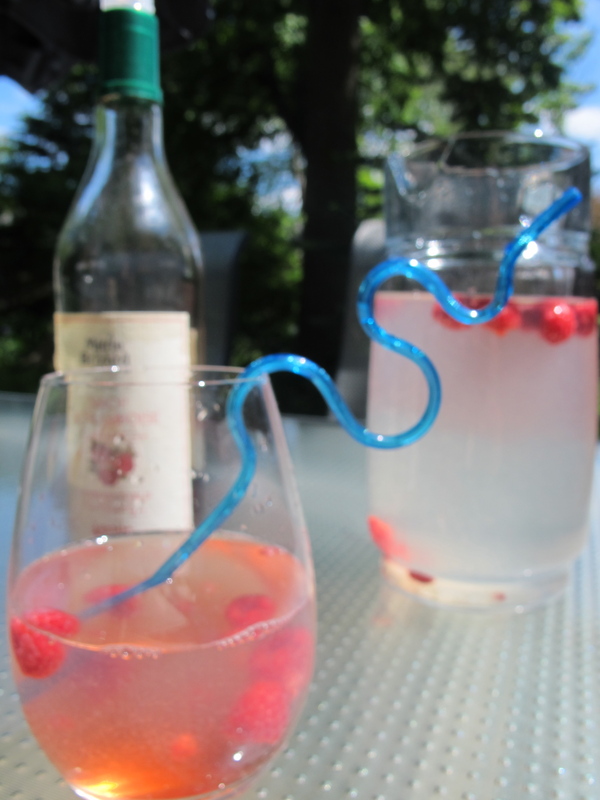 Because they’re frozen, it keeps the lemonade cool, and trust me, it won’t last long!